Every vehicle either it’s luxury, sports or a family car requires maintenance and repairs on the go. We also acknowledge the fact that searching for original auto parts in Aurora, IL sometimes creates hassle. 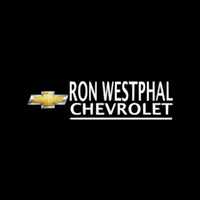 Therefore, understating the service and parts needs of Chevrolet owners, Ron Westphal Chevrolet’s service and parts center is in Aurora, IL. Whenever your Chevrolet cars, SUVs, trucks, crossovers and hatchbacks require any sort of routine maintenance, special repairs or parts replacements you can bring it to Ron Westphal service and parts center and we will make the needful done with high efficiency. To get all original Chevrolet accessories and parts you can place an order by calling our customer care or by filling up the parts order form. We advise you to always install only original Chevrolet parts in your vehicles and never compromise on your car’s performance. Order Chevrolet parts and we will deliver it at your place anywhere around Aurora, IL.